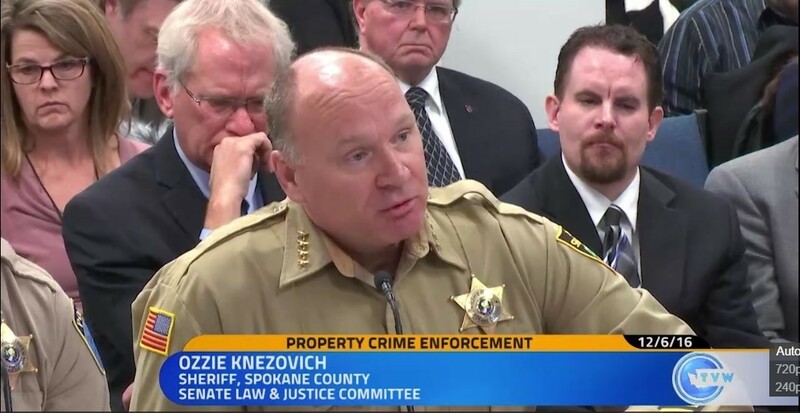 Sheriff Ozzie Knezovich discusses the high property crime rate in Washington state at a legislative hearing last year. No-Li Brewhouse wants to raise $10,000 for Teen Closet. You can help by buying T-shirts. The West Nile virus has arrived in North Idaho. Will UberEATS devour its competitors in Spokane?